Perhaps unsurprisingly for a man with the nickname ‘Mystic Mac’, it was Conor McGregor who first predicted that a super-fight with Floyd Mayweather would one day take place. On Wednesday evening, that date was announced as August 26 2017. “If you’re asking would I like to fight Floyd Mayweather, I mean, who would not like to dance around the ring for $180m?” McGregor replied to a playful question from late-night hostConan O’Brien, in July 2015, on whether he would ever be tempted into switching sports. The question — and indeed, McGregor’s answer — seemed like throwaway comments, not intended to be taken seriously while the charismatic Irishman had his heart completely set on dethroning José Aldo as the UFC featherweight champion of the world. McGregor’s comments made headlines, and then quickly faded away. It was Mayweather who rekindled the speculation, that December. In an interview with FightHype on the worldwide adulation McGregor had received for knocking out Aldo in just 13 seconds, the American complained that he would never receive such acclaim from the public because of the colour of his skin. “They say he talk a lot of trash and people praise him for it, but when I did it, they say I’m cocky and arrogant,” Mayweather observed. This time, it didn’t take the other man the best part of half a year to respond. “Don’t ever bring my race into my success again,” McGregor commented in a long Instagram post, the very next day. The pair began to frequently exchange barbs on social media, with things coming to a boil in May 2016. 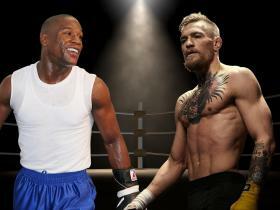 British tabloid, The Sun, reported that the two men were “on the verge” of agreeing to a deal, with an unnamed source telling the paper that “Floyd is obsessed with making Conor eat his words”. The story attracted so much attention that Dana White, the president of the UFC, felt compelled to finally address the situation. He laughed off suggestions the super-fight would ever take place, instead pointing out that McGregor was contracted to the UFC, and would thus be in breach of contract should he attempt to organise a fight himself away from the confines of the Octagon. 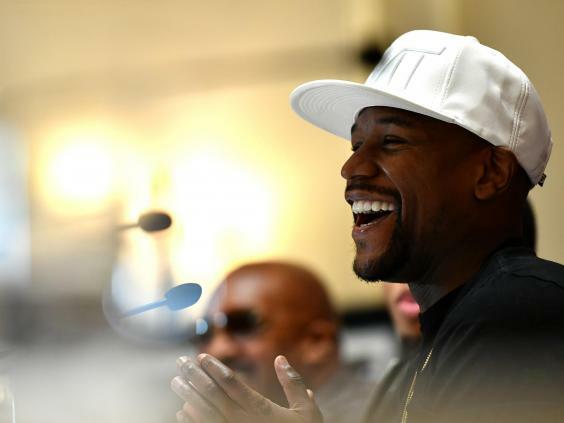 White’s dismissive comments appeared to spur Mayweather into action. First, he insisted the fight was “possible”. Then he told a journalist that he was a retired man and would only countenance returning to professional sport in order to fight McGregor. And then he pressed the nuclear button, offering the Irishman just $50m to fight him in what people were already describing as a billion-dollar bout. McGregor, a man who enjoys nothing more than dressing from head to toe in Gucci and Givenchy and parading his eclectic collection of super-cars on social media, was stung. Excitement grew when McGregor beat Diaz and obtained a Californian boxing license, all in the space of a few days. But in December 2016, Mayweather’s promotions head, Leonard Ellerbe, poured cold water on the prospective fight, insisting it was “a calculated effort to gain more fans”. A full year after Mayweather had first responded to McGregor’s jibes, the billion-dollar fight looked to be dead in the water. Step forward Dana White. Having himself rubbished the chances of the fight, just like Ellerbe, the UFC president changed tact. Perhaps aware of the staggering sums on offer, he made a public offer to Mayweather: $25m for each man plus a cut of the PPV. May weather flatly rejected the offer — but the talks were back on. Things began to move quickly in March 2017. First, Mayweather told fans on his ‘Undefeated’ tour that he was “coming out of retirement to face Conor McGregor”. 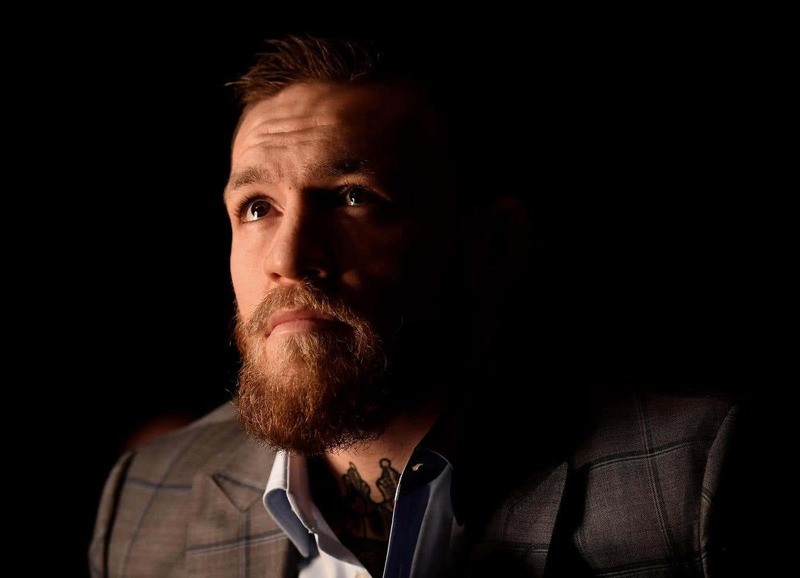 White then told Conan O’Brien he was increasingly confident a deal was close, while the Nevada Athletic Commission paved the way for McGregor to obtain a boxing license with them. And then in May, McGregor insisted in an interview that he had signed his half of the agreement. The next month, on Wednesday 14 June, both men announced the fight on their individual social-media accounts. “THE FIGHT IS ON,” McGregor posted on Twitter, along with a mocking picture of himself side-by-side with Floyd Mayweather Snr. “It’s official!” replied Mayweather on Instagram, along with a short promotional video confirming the involvement of Showtime. Both men revealed that the date for the fight had been set for August 26. And so, one of the longest-running sagas in the history of combat sport reached a temporary conclusion. But with the fight still two months away, one cannot help but feel the trash-talking has only just begun.